This was my first stringed instrument. 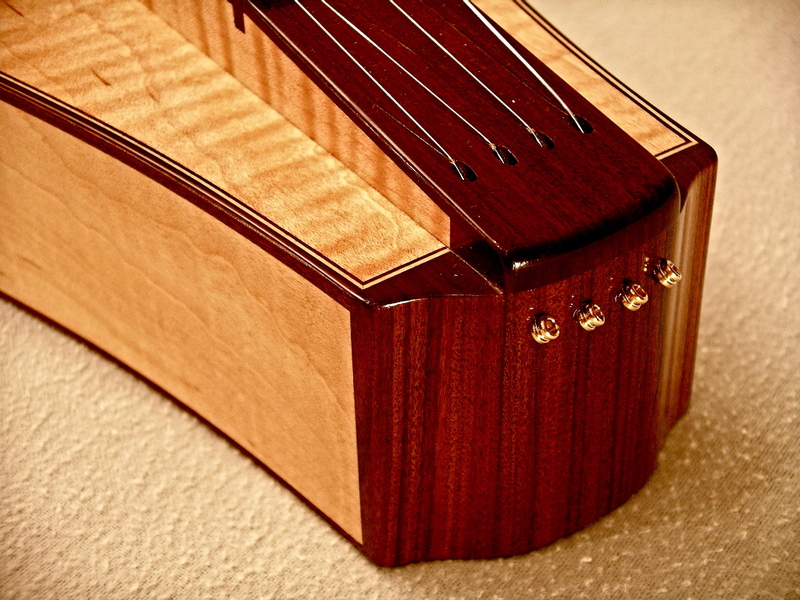 I used a commercial plan, but modified the tail block and peg head quite a bit to make it my own. I also added many details like the binding/purfling along the edges as well as raised and embellished the sound holes. 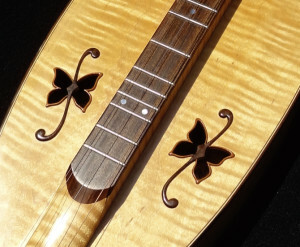 The design of the sound holes was a collaboration between my wife Christina and I as we sat perched above a lake high in the Italian Dolomites. 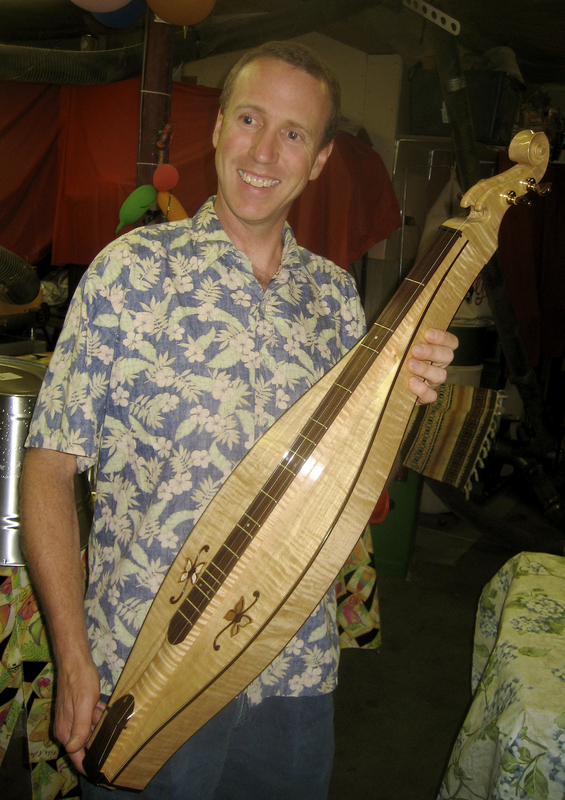 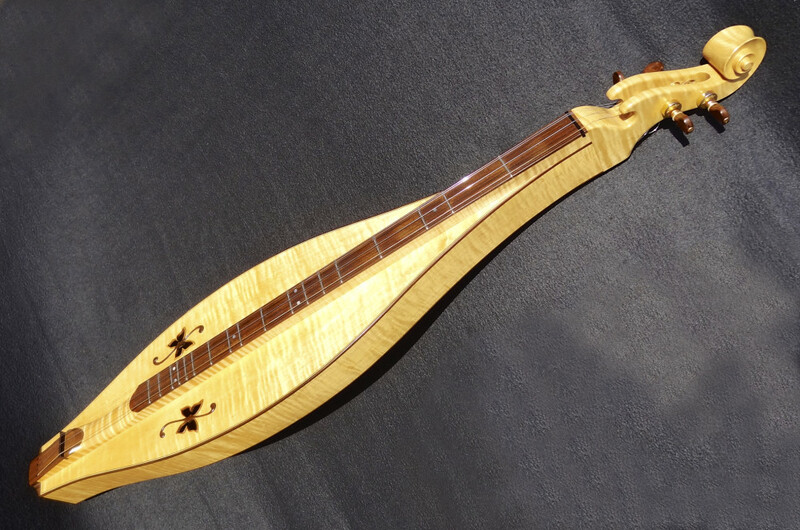 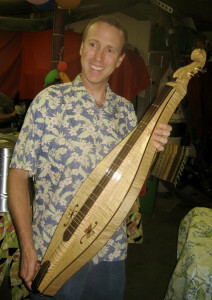 It’s a teardrop-shaped mountain dulcimer with a curly soft maple body and morado bindings and fret board cap. Purfling is holly and morado. 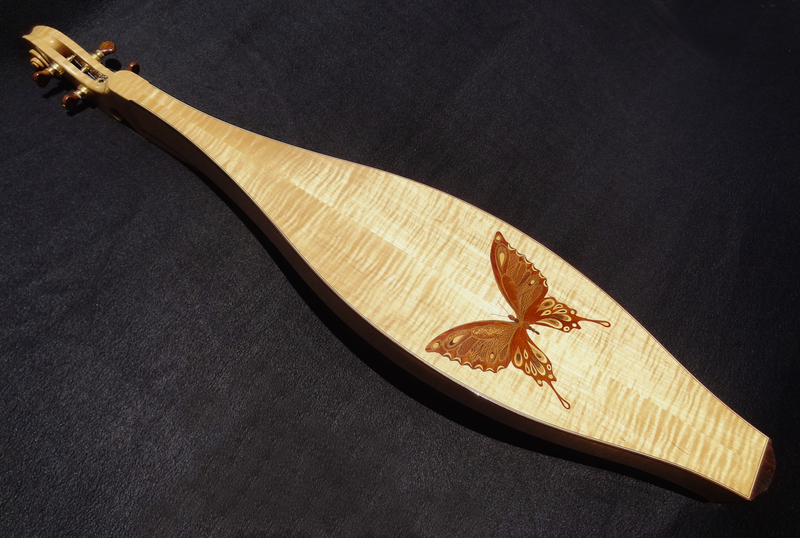 Hand-carved scroll on the peg head and inlayed marquetry butterfly on the back. Raised accents on the butterfly sound holes. 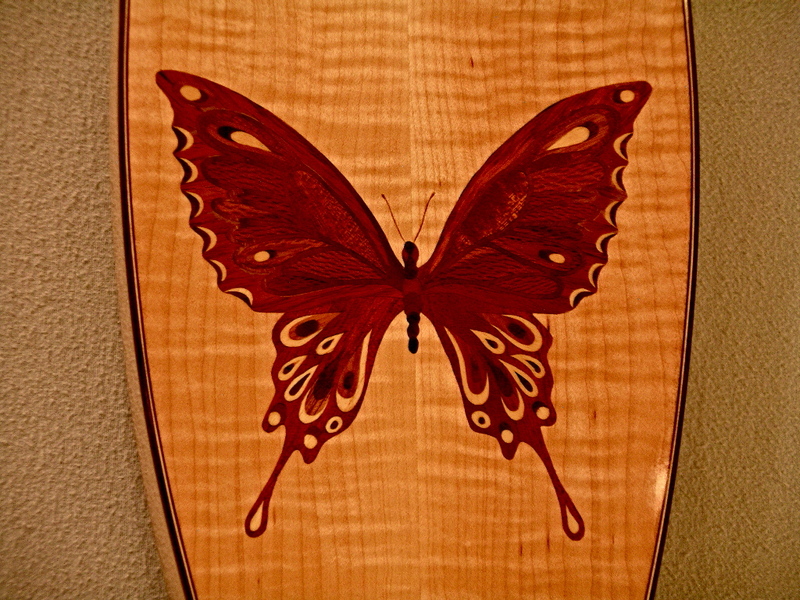 Finish is blonde shellac and a French Polish, the first lime I attempted this technique.